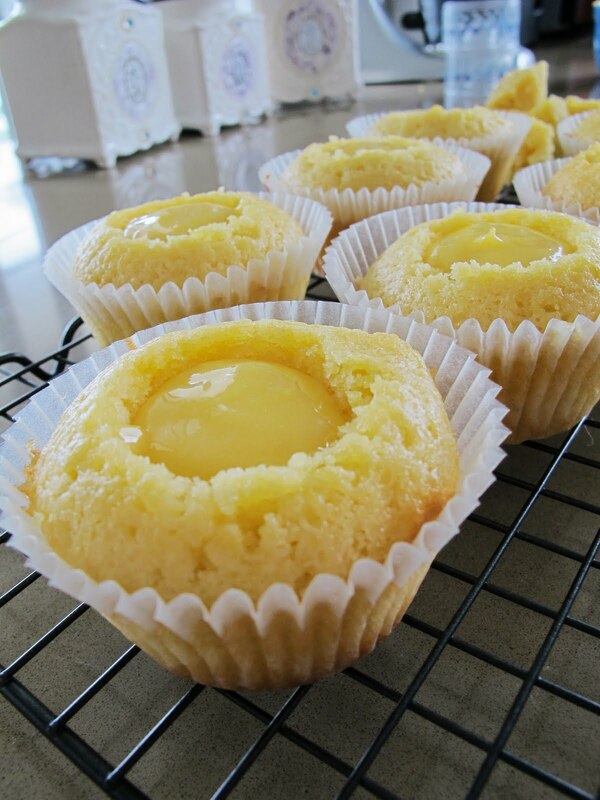 My plan was to make very tangy lemon cupcakes. I baked vanilla cupcakes and made a hole in it. My lemon curd turned out great with good consistency. I filled the hole with the lemon curd. 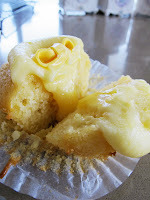 I could've frosted with only lemon curd but I made lemon cream cheese frosting and added it on the top of the cupcakes. 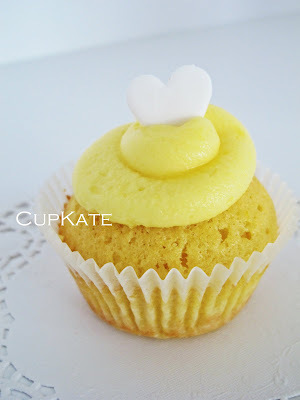 The main issue is a portion control because both of two elements ; lemon curd, lemon cream cheese icing are quite strong. 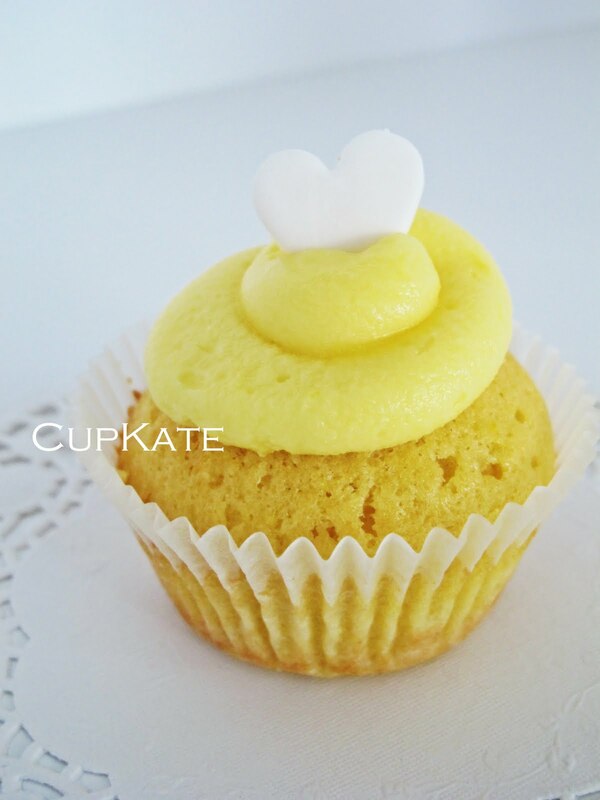 I decided to go with my lemon cupcakes with lemon cakes with lemon cream cheese frosting. 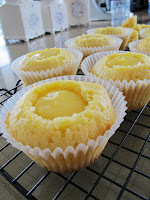 If you love tangy, fresh lemon flavours, I recommend the lemon curd. So refreshing!